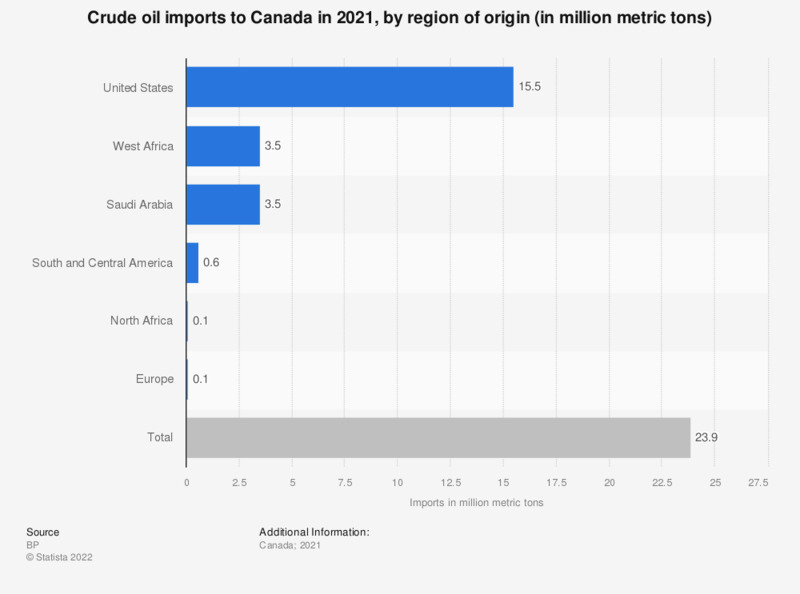 This statistic displays the crude oil imports to Canada in 2018, by region of origin. In that year, Canada imported 16.1 million metric tons from the United States, and 2.3 million metric tons of oil from West Africa. Canada also imported less than 0.05 metric tons of crude oil from countries from the Australasia region. Everything On "Canada's oil and gas industry" in One Document: Edited and Divided into Handy Chapters. Including Detailed References.